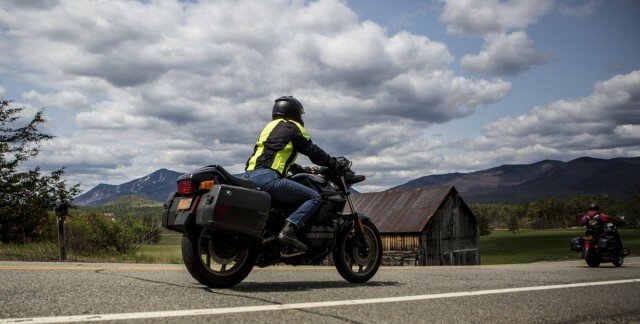 If country roads that meander alongside flowing rivers with a backdrop of majestic mountains sound like a good place to ride a motorcycle, you’re in luck. We’ll even throw in a side trip to the top of an Adirondack peak. Yup, you’re in for a first-rate tour of the Whiteface Region. Begin in Keeseville, and take Route 9N toward Jay, about 17 miles total that takes you through the hamlet of Ausable Forks. Once in Jay, take a diversion to check out the covered bridge by taking a left onto Mill Hill Road which abuts the Village Green. 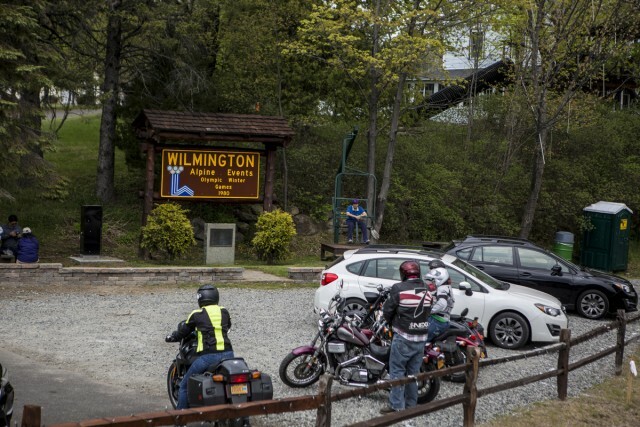 86 takes you to Wilmington, home of Whiteface Mountain, which is accessible by gondola on the ski hill side, by foot by hiking the trails, and by bicycle, car and motorcycle on the Whiteface Mountain Veterans Memorial Highway. Just after the bridge in the Town of Wilmington, 86 takes a left turn toward Lake Placid - but you should continue straight up the hill to climb Whiteface. There is a fee to access the highway - but trust me, it’s worth it! The toll house will provide you with information about the Highway, which is sporting brand new, smooth pavement all the way to the top! Unparalleled views as you ride up 8 miles, with frequent pull-offs to take it all in, and a short hike or elevator ride once you arrive at the top for 360-degree views! (On clear days you can spot Lake Champlain and sometimes even Montreal.) When you decide to go back down, just keep it in a lower gear and enjoy the 8 percent grade safely around those hairpin turns. Once you return back to the junction with 86, go straight again, and then take a right onto Springfield Road toward Upper Jay. This is a nice connector road of about 5.5 miles that ends at a junction with 9N. Take a right onto 9N toward Keene, a wonderful 6 miles along the Ausable River. 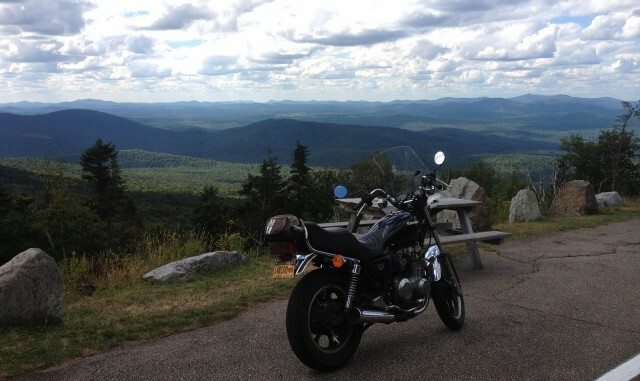 Now you’re in Keene, and it might be all uphill from here, but it’s a perfectly gorgeous ride to Lake Placid! 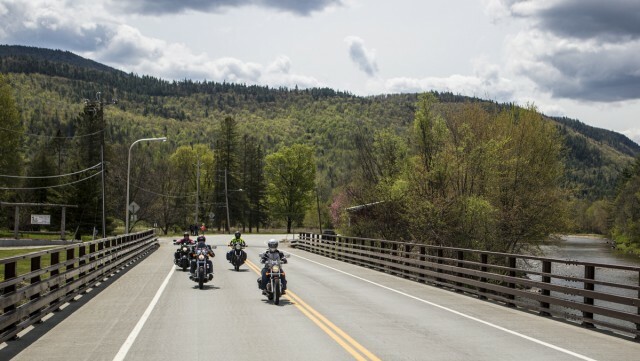 This isn’t a secret to seasoned riders, but our resident experts will tell you that although the roads of the Adirondacks lend themselves nicely to touring by any mode of transport, exploring them by motorcycle provides the rider with an even deeper appreciation of, and connection to this pristine landscape. Our motorbike-riding tourism marketers share some of their favorite rides (and highlight a few classic twisties) on the well-maintained roads that wind through the charming communities across the region. Follow along as they showcase one big loop in 8 segments - or choose your region du jour for a shorter spin.